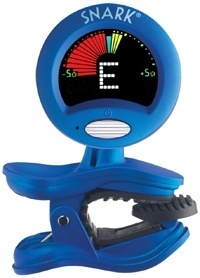 →What is the Best Acoustic Guitar Tuner? Every musician needs a perfectly tuned instrument so as to play different types of music. Beginners and learners know too well how difficult and stressful tuning an instrument, especially an acoustic guitar can be. Conventionally, experts tune their guitars using their accustomed musical ears, a method that is likely to be inaccurate and often takes quite a lot of time to do. Tuning is necessary since strings often go sharp or flat due to temperature and environmental changes. There is need for accurate and precise tuning which saves time and enhances professionalism. Such a need can only be met through the use of guitar tuners. Guitar tuners make beginners’ lives easier while for the experts, it saves time for more productive work and to some extent helps them check the accuracy of their trained ears. What are Acoustic Guitar Tuners? An acoustic guitar tuner is a device that detects whether the string of an acoustic guitar is in tune or not. The device does so by displaying the difference between the current frequency and the fundamental frequency, which is commonly known a the frequency difference. The device also helps the user to determine whether the pegs should be adjusted clockwise or anticlockwise through the LEDs. There are usually 3 LEDs on the device which indicate the state of the string, that is, sharp, flat or in tune. There is a power switch that can be turned on or off and a push button that helps the user to select any of the 6 (or 7) strings for detection of status and subsequent tuning. How do Acoustic Guitar Tuners Work? An acoustic guitar tuner is made up of a microcontroller, an LCD display, LEDs, a power switch, a push button that provides an interface between the user and the device and many other analogue components which turn the input from the acoustic guitar into data that can then be turned into digital output by the microcontroller’s Analogue Digital Converter. What Are The Best Acoustic Guitar Tuners? There are so many tuners on the market today. Identifying the best tuner may prove quite difficult. Here are some of those considered the best from the multitude in circulation on the market. We happen to be great fans of clip-on tuners, and the Snark SN-8 model happens to be one of the finest, in our opinion at least. What we like about this tuner is how precise it is; according to some tests, it's equally accurate as big stompbox tuners that cost five times more, and that's no mean feat. 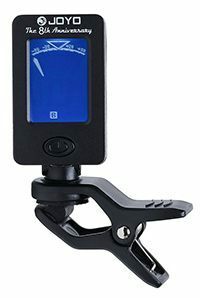 The device comes with a sleek black look, a bright EZ display that can be rotated 360 degrees, a tap tempo metronome, as well as pitch calibration and transpose features. 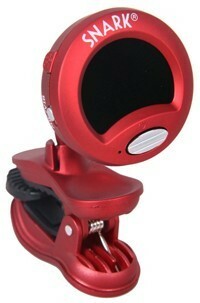 This tuner has a stay put clip and a display capable of rotating through 360 degrees which enhances viewing. It has a wide frequency range that is tailor made to cover both guitar and bass. Its pitch calibration stands between 415Hz and 466Hz and it has a tap tempo metronome. 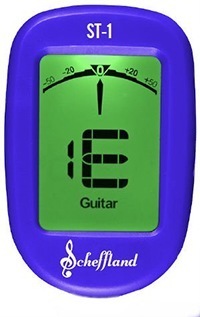 the snark SN 1 guitar Tuner is fitted with a high sensitivity vibration sensor. As far as cheap clip-on guitar tuners go, one of the few models we can thoroughly recommend is the Sinsun FT-11. This fella packs all you need and is accurate enough to satisfy the needs of most players. If you're looking for super precise tuning for studio work, use another model, but as far as live use goes, this dude packs all you need. Convenient, simple, sturdy enough, easy to use. If you're on a budget, this is your winning ticket. 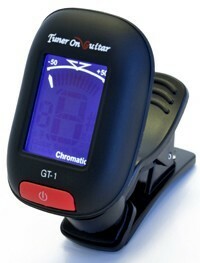 This tuner is quite precise and can be used to tune a variety f instruments like the guitar, the banjo. Bass, ukulele, mandolin and others. It’s small in size and its very accurate chromatic tuning is based on vibration and not sound input. It has a reversible screen and adjustable ratchet mechanism both of which can be replaced at the back or front of the headstock. The device also has a visual metronome feature. This device has a fixed clip and a display that rotates 360 degrees, providing easy viewing. With a tap tempo metronome, this tuner has a wide range of frequencies for all instruments, an internal microphone and extremely sensitive vibration sensors. As yet another affordable device, the FT-004 from Fender operates as a chromatic tuner with a rich range of B0 to B7. It's super compact and comes with an included 3V 2032 battery. The on-board vibration sensor allows you to tune even in noisy environments, while the blue LCD display is easy to read even when the lights are out. Can support 7 string guitar tuning and its internal speaker is capable of producing a reference tone. The device’s design is compact, with an LCD meter that is quite precise and is needle type, enhancing tuning stability. It allows for tuning of 1-5 semitones flat, in its quinta mode. The Korg CA1 chromatic tuner which is most appropriate for orchestra or brass band has a pitch detection ranging from C1 to C8. It provides stable tuning because of its high precision LCD meter of the needle type. Its calibration function is good for various concert pitches and the internal speaker emits a reference tone through the sound out. As our choice for the best and most accurate clip-on tuner in the world with price factor taken out of the mix, the PolyTune from TC Electronic offers some surgical precision that even beats some of the stomp-box models. 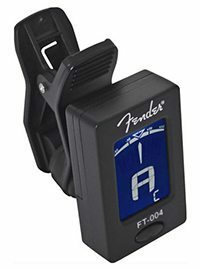 Extremely accurate and super reliable, this tuner allows you to tune all 6 strings at the same time, which is once again something most of the tuners can dream about. Cutting edge stuff, bravo TC Electronic! If you like your tuners super fast and instantly responsive, check out the Scheffy boy here. This fella is accurate as any high-end model, looks nice, has an easy to read green screen, boasts high durability, but it's the speed and responsiveness that make it truly stand out. The price is fair, and a one-year "no questions asked" guarantee is also included in the mix, nifty stuff! Seagull guitars are renowned for their quality to price ratio; generally toward the lower and middle price ranges, Seagull instruments don’t break the bank, but they play like dreams. The S6 is a beautiful example of a beginner instrument done right, with a cedar top and wild cherry backs and sides, this is a guitar that truly sings. 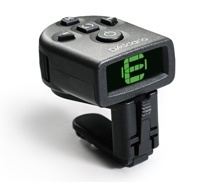 The Korg Pitchblack chromatic tuner is housed in a die cast alluminium case with black-out finish, which is essentially very reliable since it provides sharp contrast and thus good visibility. 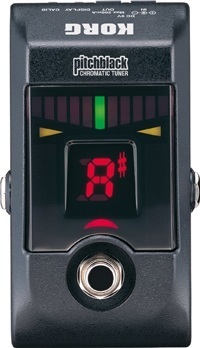 The display of this tuner shows four modes, the meter, half strobe, full strobe and mirror making it quite easy to read. In order to preserve clarity of tone, it has the optional AC Operation or Battery feature. 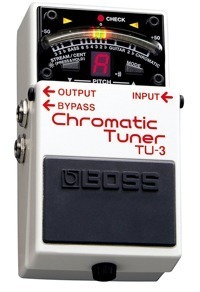 For convenience of the pedal board, this tuner has 9 volt per 200mA flow output. It has a calibration ranging from 436 to 445 Hz as well as a broad detection rangeof pitches, from E0 to C8. This tuner is quite convenient because of its 21-segment LED meter that has the ability to control the brightness of light, a feature that enhances the visibility of the meter especially outdoors. The light control functions has three distinct modes – the Accu-Pitch function ( for visual verification after tuning is complete), the chromatic and Guitar Bass mode (for tuning by string number, 7-string or 6 string bass) and the high brightness mode.This device supports flat tuning in Guitar flat mode, allowing for dropped tuning up to 6 semitones. Thus, in a nutshell, each of these bad boys can carry the title of the best clip-on guitar tuner on the market. It is now up to you to jot down your personal needs and preferences – as well as your spending budget – and single out he one that suits you the best. But regardless of that, you can rest assured that these are all products you cannot regret purchasing (as long as you need a tuner, of course). Thumbs up, highly recommended!